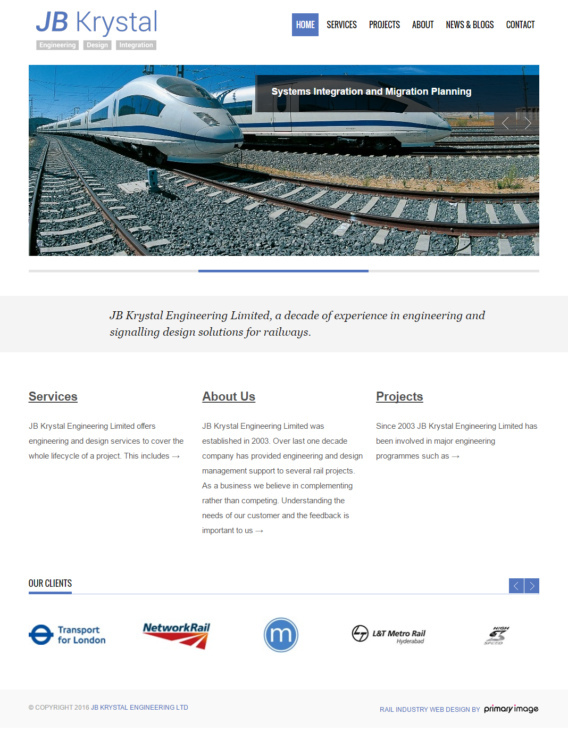 Our Primary Image designers created this clean, contemporary web design for a rail industry consultancy called JB Krystal Engineering Ltd, who are based in the UK but also operate all over the globe. The focus was on having a website that looked professional, using a clear and simple layout, with modern imagery used to convey the types of engineering work that the consultancy is involved in. The website content is easy to read, with short blocks of text. The home page features a slider panel that scrolls through three different images and headlines. 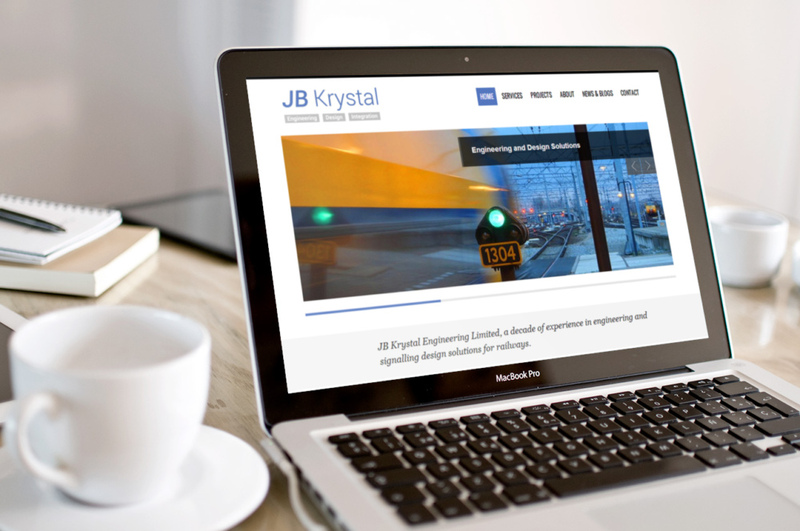 The customers of JB Krystal Engineering include some big names in the rail sector, including Transport for London (TfL), Network Rail and CrossRail, so we incorporated these logos into the design too using a scrolling panel. Primary Image also designed a new corporate identity for the company. See our rail industry design and marketing page to have a look at some of our other work in this sector.